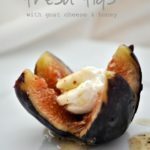 Stuff fresh figs with soft goat cheese and drizzle with either lavender or pepper-infused honey for an amazing appetizer or dessert. 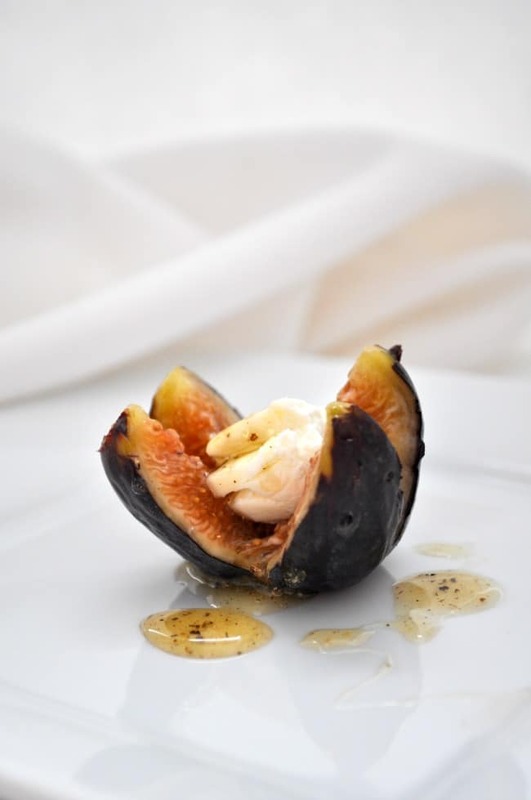 Fresh figs with goat cheese, drizzled with sweet honey make a showstopper appy! If your only experience with figs has been those store-bought cookies packed in your lunch when the homemade ones were all gone, it’s time to branch out and sample some fresh ones. 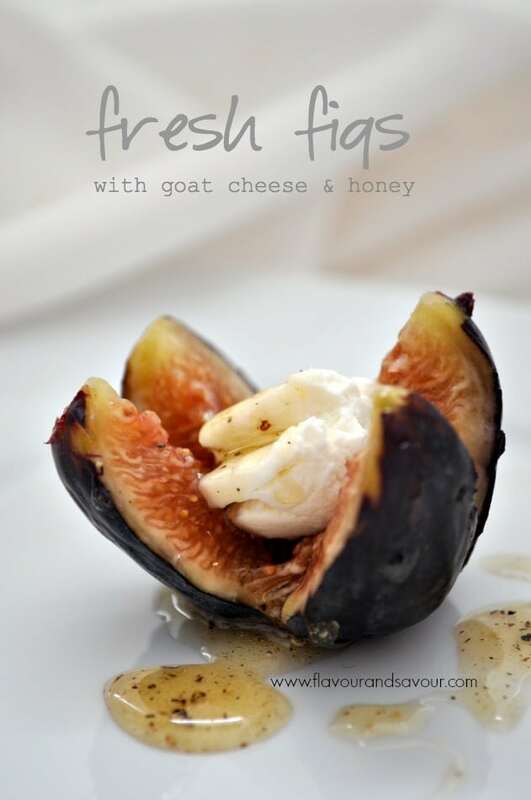 These Fresh Figs with Goat Cheese and Honey will open a whole new world of possibilities for you. 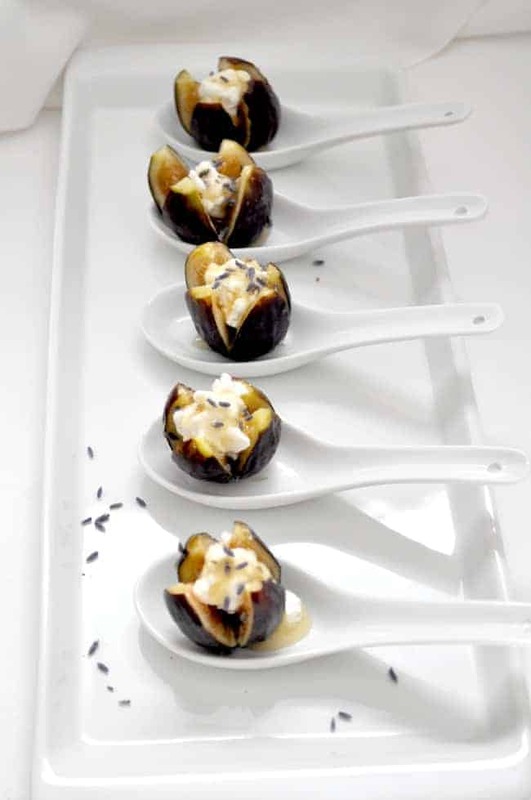 Stuffed figs make an incredible appetizer, or even a light dessert! 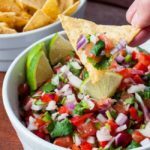 *This appetizer is so delicious that I updated this older post with new information and republished it! Trying something new is a metaphor for my life at the moment, as I consider all the possibilities open to me now that I’m no longer in the classroom every day. Learning new skills, meeting new people, and seeking different activities sometimes puts me out of my comfort zone, but the rewards are always worth the effort. Creating in my kitchen, however, is consistently comforting. Fresh figs are available in farm markets now, but you’ll need to hurry and get them before their season ends. While my backyard tree has finished producing, Black Mission figs are readily available at local markets. 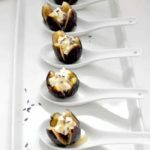 These Black Missions are ideal for this recipe for fresh figs with goat cheese and honey as their flavour is more intense than green figs and they are a firmer fruit. Fresh figs are simply luscious. Besides being a nutritional power-house, they’re naturally sweet, soft and juicy. 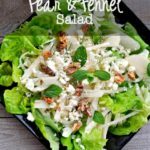 They’re an excellent source of potassium, Vitamin B6 and fiber. Fresh figs don’t have the crunchy seeds that some people find annoying in dried figs. 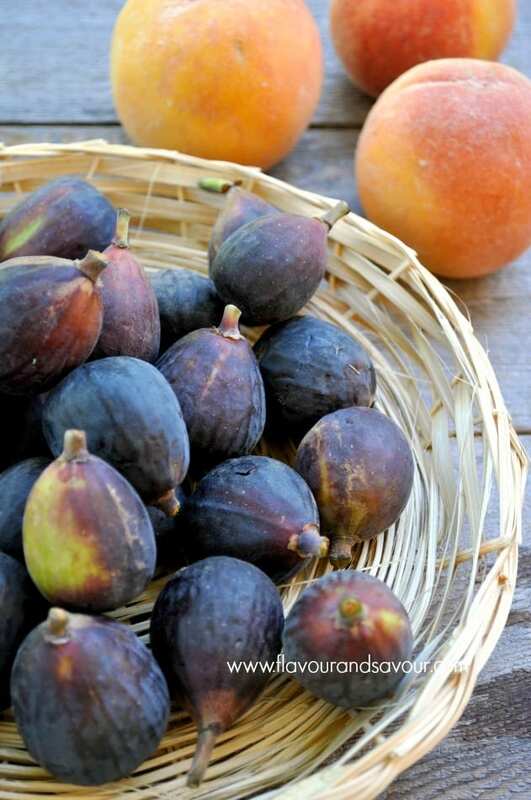 Choose plump figs with no bruises and firm stems. Keep them in the refrigerator where they will last for a few days. Gently wash and wipe just before using. Remove the stem and cut into quarters, being careful not to cut all the way through. Gently stuff a teaspoon of soft goat cheese (chevre) into the center of each fig. 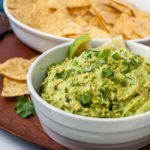 Arrange on a serving tray or in ceramic spoons and drizzle with honey. I honestly can’t decide if this is an appetizer or a dessert. I mean, fruit paired with cheese is traditionally served after dinner in France, n’est-ce pas? But these things are pretty darn cute on those little spoons and I think they’d work equally well as a little pre-dinner nibble. You decide. Or have them before AND after. They’re just that good. Today’s recipe is hardly a recipe. It’s more of a reminder to be a tiny bit adventurous and try something new to you and to take advantage of what nature has to offer where you live. Gently wash and wipe the figs. Remove the stem with a sharp knife. Cut the figs in quarters, making sure to not cut all the way through. Stuff 1 teaspoon of goat cheese into the center of each fig. Mix honey with EITHER a little freshly ground pepper OR a few culinary lavender blossoms. Drizzle over top of each fig and serve. More recipes with fresh figs! This post may contain affiliate links. If you click on any of the affiliate links and make a purchase within a certain time frame, I’ll receive a small commission. The commission is paid by the third party, not by you. I am a participant in the Amazon Services LLC Associates Program, an affiliate advertising program designed to provide a means for me to earn fees by linking to Amazon.com and affiliated sites. 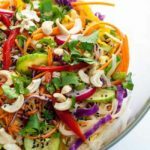 That looks divine! Every year I can’t wait for a fig season. Sweet and salty combos are awesome. Thanks Maria, Sometimes the most simple desserts are the best! Thanks for commenting!